Image depicts a house with torn-up siding. 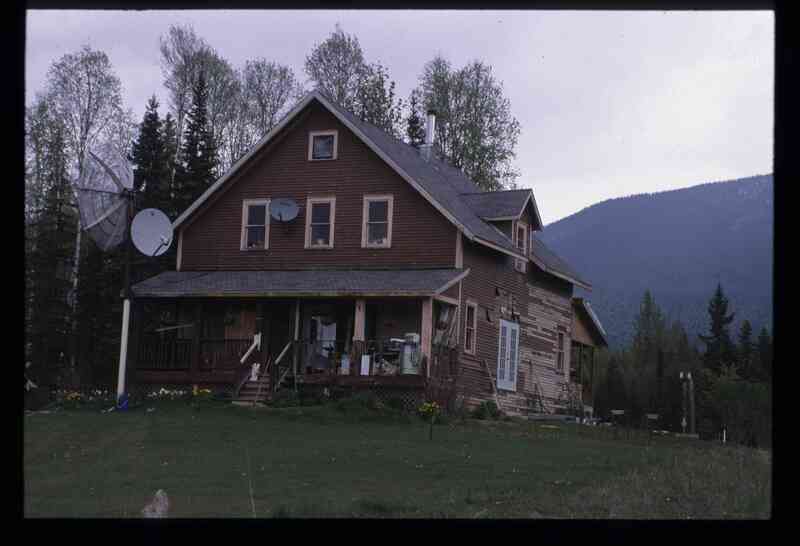 The slide is labelled: "Mellos house relocated from Penny." The location is uncertain.